The tools I list in this article have Free options some are completely Free and some have Free trials that can show you how effective the specific tool can be and let you decide if you want to eventually pursue a paid option when you start making money online. I have listed a few individual plugins additionally in this article, but I will add thousands of plugins to the list here by suggesting you use WordPress as your site content management system. In doing so you remove the need to code and can use any of thousands of Free plug and play add-ons to your site. More commonly known as plugins. WordPress has taken the guesswork out of web design. With free plugins, you can add many enhancements to your current blog or website as long as it is in a WordPress format. Using your web editor you will be able to search and select plugins for your site that install in seconds and will be available for you to configure based on the settings they provide. Plugins are basically small software programs that tie in seamlessly to the functioning of your site. The coding is done behind the scenes so you do not have to worry about it. An easy way to search for targeted keywords is to use a Google search, you will then need a place to go to show you the data on how competitive the keyword is and how much traffic it normally gets so you can plan accordingly with your posts. The most widely known Free keyword tools is Google Keyword Planner which is accessible after you set up an account with Google for free within Google Adwords or Adwords Express, which are where you go for pay per click marketing for Google. The tool is part of the Adwords platform and can be used repeatedly without additional costs. The catch? as with many Free tools there are limitations on the data provided, which is basically in a fairly vague format that gives you a “general idea” that you may or may not be on the right track with your chosen keyword. SEM Rush– This is a great piece to add to your arsenal, Metrics and data available as well as keyword and competitor research among other fabulous features- Free trial available, the kicker is that it lasts only 7 days. So this should be on your to-do list for a bit later in the game when you can afford it. Try the free trial when you feel you understand keyword research a bit and see what features work well for you. Long Tail Pro– Another must have suite of tools for your website. There is training available with it and also a very affordable paid option once you are ready. Unlike SEM Rush, you won’t have to mortgage the house to pay for it. LOL, With a 7 Day Free trial available, I highly recommend trying it out and use that free trial as much as you can to see how this helps. So I know I listed a few tools here that are only Free with a trial period of some sort. The fact is, that with SEO and Keyword research, you get what you pay for, the free trials are great but they end and to get solid results going forward with your business, you will need to find one you like, and it will more than likely cost you a fee of some sort. This is probably the most important piece of your puzzle and you should honestly try a few different ones before settling on a tool you like. Get whatever training is available and use it to its full potential. This is a WordPress plugin like I listed above. This specific plugin provides you with a very nice and organized way to keep the structure for your site as it relates to SEO needs. Add Meta Title and Descriptions and the targeted keyword with ease All are search engine ranking factors. Setup search engine tracking. The features of this plugin really play a role in helping you stay on track. This is one of the most powerful plugins you can add to your site. Free to install and use. The pro version is really not needed with all the great features offered for Free. Since we are on the topic of plugins, let’s talk about Pretty link plugin, it is a link shortener which also provides great metrics and data related to your links. You can take those wild looking links that can be a bit confusing and spammy looking and add your URL in front of them and name them whatever you like. This is a great way to see how certain links are responding on your site. This a Free plugin that installs in seconds. Try it out and see how it helps you keep your links organized. A Platform designed to make it easy to create a free website using a WordPress dashboard. To use SiteRubix you need to sign up for a Free account using only an email and a username. SiteRubix is owned and operated by Wealthy Affiliate. So in signing up you will be also signing up for a Wealthy Affiliate Free Starter account and you will quickly see that you get more than just a Free website creator, you also get the great training and an entire additional suite of tools to use via your FREE Wealthy Affiliate account. In addition to creating your website for Free you also get web hosting services as part of your membership. So you can build a website and literally be online in minutes, and then start adding quality and informative content so your readers can find value in your information The training you get with your membership explains all this and more. As part of the free starter account you created, you receive access to Site Content which is a fantastic tool to use to write and format your website information, you can use templates if you choose or start from scratch, set writing goals and save your published and unpublished articles all in one place instead of having to try and use your WordPress dashboard to organize it all. Social media is a very powerful marketing tool, and to have a place that helps you manage all your accounts at once and post on a schedule is very time friendly and provides some much-needed structure to the process of posting, following and unfollowing on social media. You can grow your lists dramatically by sharing content that is relevant to your target audience. You also have the ability to see what is trending with your target keywords. Manage when and what you post with an automated scheduler, and see your lists grow. There are multiple options for this one. 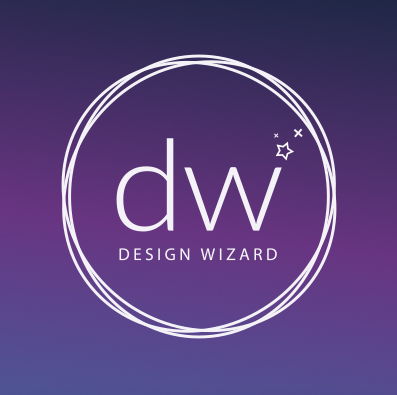 Design Wizard and Canva are my preferred choices. Canva– The Free account may be all you need as there is a very robust platform available at your fingertips that can help you create your website graphics with no payment required. A professional looking image is the result and made by you using either a blank slate or a pre-formatted template that works for many of the online image options like with social media and so on. Design Wizard– Just like with Canva, you can create stunning graphics for free, There is also a video creation tool that will let you create your own promo videos, they charge $4.99 for each downloaded video so it is not free however there are always promotions happening that will give you usable credits that can be applied to your account. There is no cost to use Design Wizard and you have access to all of the templates they offer for graphic design. You have the option to purchase certain additional images to use in your graphics that are $1 a piece. Canva is the same way, they have the same option. The Free account for either will get you set up nicely to be able to create high-quality website promotional graphics. A great grammar checker for your content, write your posts and let Grammarly tell you what needs to be fixed. This really is a nice feature since quality content matters. We have all read articles online with misspelled words or improper punctuation, now you can have a tool that can keep you focused on writing instead of spelling. Yes, there are some that slip by but overall this is a great tool. The Free version is all you really need, there is a pro version that has a fee associated with it, but not to worry about until you start making money. The Free option will do just fine. When you use Canva or Design wizard to make your viral infographics as well as other choices you would like to embed on your website. You can use Siege Media. This is an online embed code generator that provides you with a few advantages, one of which is creating embed code for your graphics that your visitors or others can use to embed your graphic in their website. This helps get you exposure and helps with rankings for your article. Another Free and easy to use piece to the puzzle. Your Website Value-Once you have your site up and generating a decent amount of traffic check to see what your website is worth in case you want to sell your site and start another. This process is fairly common online as folks make money selling their domain names. Obviously, you do not have to sell your hard work, this is just a nice link to see what it is worth. Hootsuite – Social media manager. Just like with Crowdfire, this is a site that helps manage your social media accounts and posts. One of the more well known and popular tools for this. I prefer Crowdfire but Hootsuite is a very nice program as well to look into. They have a Free plan that lets you set up 3 social media accounts and manage them and schedule what you want to share. Leads Leap-An interesting site that helps you convert your website traffic into leads that could potentially become sales for you. It is Free so you can check it out and see if it helps you. Responsive Design Checker– A nice Free site that shows how your blog or website performs on mobile. Responsive websites are being rewarded by Google with better ranks, mobile is where the traffic is nowadays. So to have a site that performs well on mobile is a must if you hope to succeed. We have covered a range of options for you to consider for your website or blog. Many on this list are totally Free. Start compiling your shortcuts and favorites in your browser with as many quality tools you find. As you grow your business you will come across many ways to help your site. This list is just one of those ways. What Free tools do you know about that I didn’t cover? Please comment below and share your favorites. Cheers for all these free tools! When you are just starting out and don’t have a lot of money to spend this list is amazing! I didn’t know about crowdfire yet, but I’m going to give that one a try for sure! A lot of the other tools I’m already using and i do recommend them too, like jaaxy and siterubix! The free tools do help when getting started and also can keep the costs down to a reasonable level as you move forward. Once you start making some revenue you can upgrade to paid options if you like a specific tool. Yes Jaaxy is my go to all in one tool for my site. Great article with fantastic content. As someone who is relatively new to affiliate marketing, it continually amazes me the seemingly unlimited number of free online tools you can utilise. I suppose the problem is which ones to select and use.From the ones you mention using the Word Press plugins and Jaaxy have definitely assisted me in developing my own website and as I look to increase my social media marketing I look forward to checking out Crowd Fire to see if this can assist in my development. Glad you liked our information. I have come across many free tools or free trials and it is a good idea to try some of them to get a feel for them before you commit any sort of funding. The best way to find out what you like is to take them for a test drive. Ya, Crowdfire has really helped me streamline my social media accounts and my shared content. It is worth checking into. 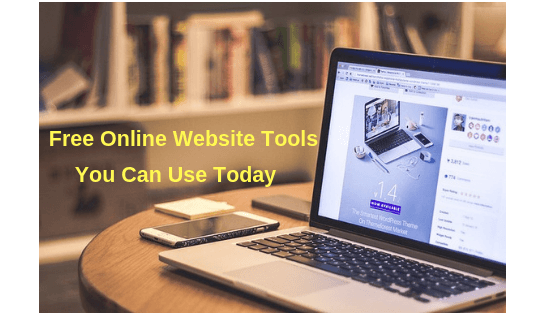 Woo, this is a great comprehensive list of free online website tools. It is very hard finding these tools on your own, especially as a beginner online. Even when you have been online for a long time, you can still miss some of these great tools. I do believe a lot in keyword research and my go to tool is Jaaxy. This is my first time hearing about crowdfire. Will you mind elaborating a little more about it. I understand from your post that it helps you manage all your account in one place. What I need to know is; does it help you get access to more people than the followers and groups you already have? I will like to add that google adwords is a great free tool. You can use it to search for keywords and make a plan on how to use them in the future. I use it a lot to start my research then I take those keywords and refine them on Jaaxy. Good point about adwords, the keyword tool in there can surely help get you started in your research. I too use Jaaxy as my go to tool mainly because of the accuracy it provides me with keywords and the rest of the great features it has. 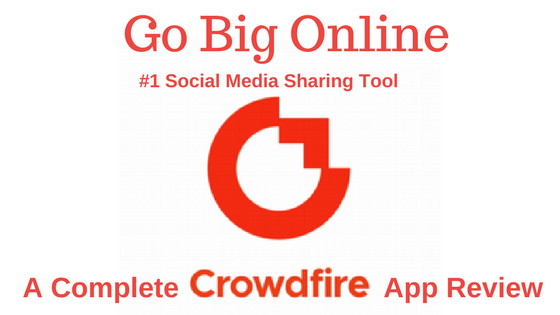 As far as Crowdfire goes- It lets you use all your accounts at once to post. The followers are mainly Twitter followers at this point, they will be adding more options to track followers on other platforms soon. But I have Google+,Pinterest,Linkedin,Facebook and Twitter as well as a few others all connected to Crowdfire. The way it would help you connect with more people is by you posting other peoples content as well as your own from within the interface to your accounts, that connects you since you are sharing additional content. I have had people contact me and say thanks for sharing my post. Your content can get shared by others as well so it works well for all. Other than that it is not really designed to help you find more people to connect with. Awesome content. I use most of the tools you recommend in your post and it is really effective. Especially Canva has helped me a lot in creating social media posting including my blog post image. Another on that I really like is SiteRubix. All my blogs are hosted on this platform. Super good support. Will definitely recommend to anyone who wants to build their own website. Yes, Canva is amazing and simple to use. I also like Design Wizard but both do web graphics very well. SiteRubix is a great platform for Free websites and hosting, I also have a few sites hosted there. I agree with what you say about good support, they are World Class. Please tell me based on your experience if you have had results yet from the tools you list. I am new to this industry and have been leaving comments and developing sites and I still am waiting to see the results I was hoping for. I would be happy to connect with and learn from affiliates that are successful to see how it is being done. Thanks for the question. Yes I have seen results and a fairly steady rise in ranks for my site since using the tools I listed as well as following the training I have been taught. Most of these tools have free trials so you can try them out for Free before committing any funds.